Home / Bible Questions / Spiritual Growth / Armor of God: What is it? 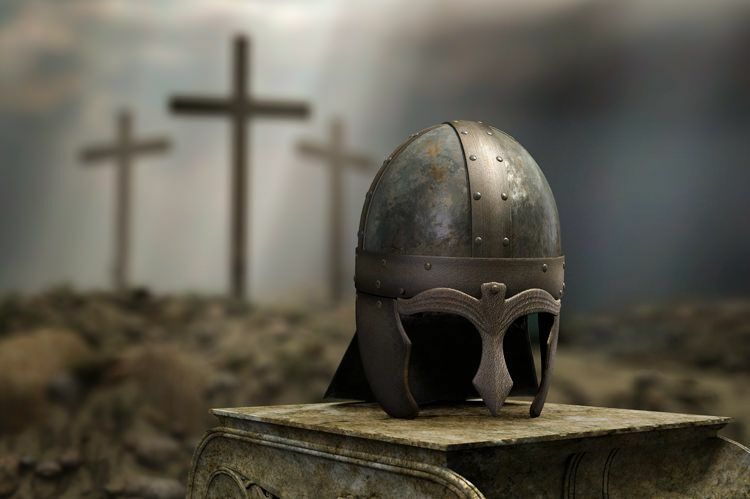 the belt of truth, the breastplate of righteousness, the shoes of the gospel, the shield of faith, the helmet of salvation and the sword of the spirit. A list and description of the full armor of God can be found below. The Bible often illustrates the Christian life as a battle against sin and Satan. We are soldiers of Christ in a spiritual warfare (2 Corinthians 10:3, 4; 2 Timothy 2:3, 4). As Scripture says, “We do not wrestle against flesh and blood, but against . . . spiritual hosts of wickedness” (Ephesians 6:12). That’s why the apostle Paul encourages Christians to “put on the whole armor of God, that you may be able to stand against the wiles of the devil” (verse 11). “Stand therefore, having girded your waist with truth,” Paul says. Truth is the belt that holds all the other pieces of the armor in place. There are two ways in which truth is a part of the armor of God. First, it refers to the truths of Scripture as opposed to the lies of Satan. Satan is the father of lies (John 8:44). Jesus said, “You shall know the truth, and the truth shall make you free” (verse 32). The great truths of the Bible—the love of God, salvation through faith in Jesus Christ, the Second Coming, forgiveness of sin, grace and power to live for Jesus—these truths set us free from Satan’s lies. Satan would have us believe that we are sinful, lost, and without hope. The truth is that God’s love and salvation has set us free from sin and death. The second way that truth serves as a belt, holding together the full armor of God, is our personal commitment to truth—to living a life that is upright, transparent, and without deceit. Integrity and honesty are vital to your Christian life. People should know that they can depend on you to be a person of truth and principle. The breastplate covers the heart and shields it and the other vital organs. The Bible says, “Keep your heart with all diligence, for out of it spring the issues of life” (Proverbs 4:23). That is what Christ’s righteousness does for you. It protects you against all of Satan’s accusations and charges. This righteousness is not made up of the good deeds you do. The Bible is clear that none of us are righteous in ourselves (Romans 3:10). 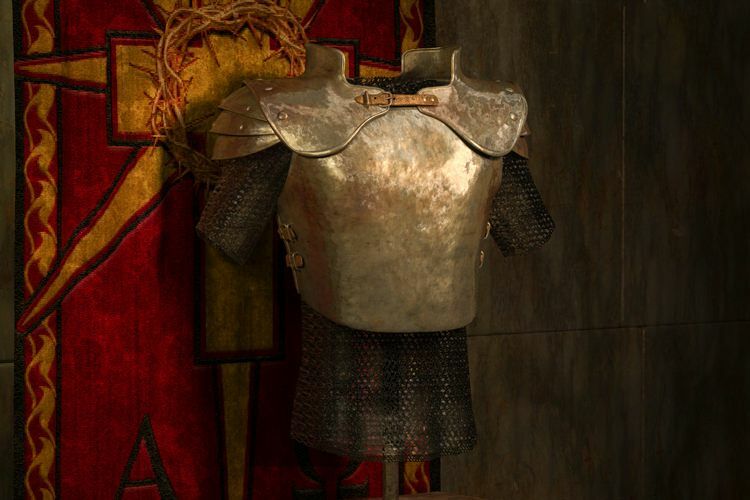 The breastplate of righteousness is entirely the righteousness of Jesus which He gives us freely when we accept Him as our Savior (2 Corinthians 5:21; Ephesians 2:8, 9; Philippians 3:9). It is Christ’s righteousness—not our own righteousness—that covers and protects us. Soldiers marching into battle must have comfortable shoes. 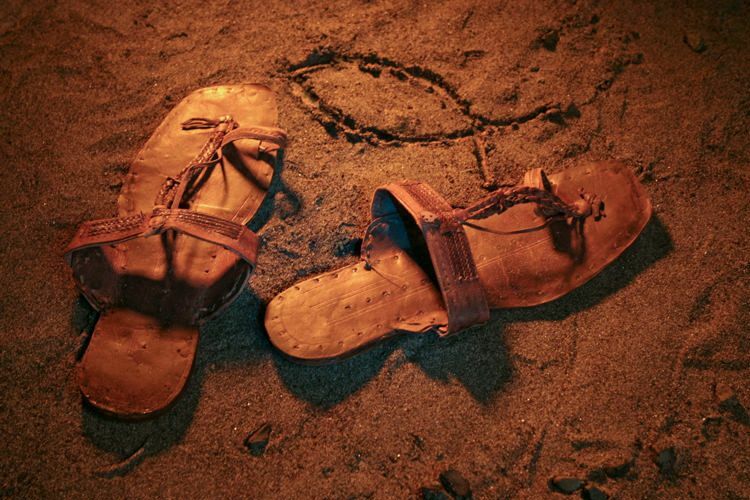 As soldiers of Christ, we must put on “gospel shoes” that will allow us to march wherever our Lord leads. The apostle John says, “He who says he abides in Him [Jesus] ought himself also to walk just as He [Jesus] walked” (1 John 2:6). Jesus said, “My sheep hear My voice, . . . and they follow Me” (John 10:27). Satan will try to place obstacles in our path, but in Jesus’ strength we can walk forward, following our Lord, obeying Him, and advancing the gospel. In listing the different pieces of the armor of God, Paul says, “Above all, . 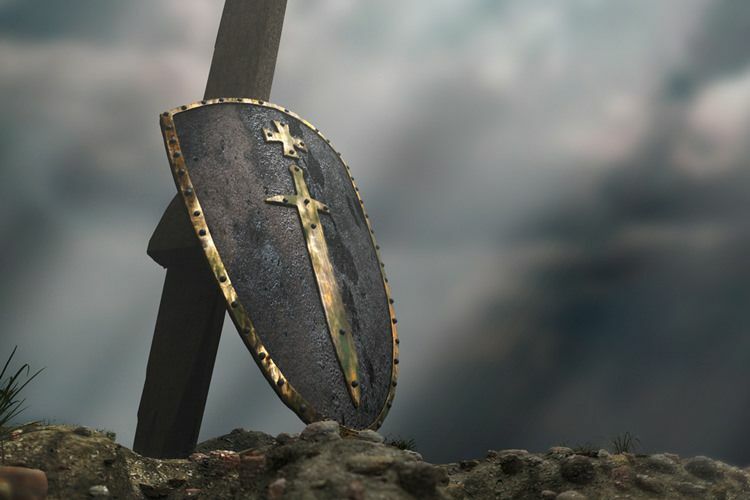 . . [take] the shield of faith with which you will be able to quench all the fiery darts of the wicked one” (Ephesians 6:16). When Satan attacks with doubts, the shield of faith turns aside the blow. When temptations come, faith keeps us steadfast in following Jesus. We are able to withstand all the devil’s fiery darts, because we know whom we have believed (2 Timothy 3:12). This faith is not something that comes from within us. It is God’s gift to us. He gives each of us a measure of faith (Romans 12:3). Then as we walk with Him, that faith grows and develops until it becomes a shield, protecting us and allowing us to live a victorious life in Christ. This was Paul’s experience. He said, “I have been crucified with Christ; it is no longer I who live, but Christ lives in me; and the life which I now live in the flesh I live by faith in the Son of God, who loved me and gave Himself for me” (Galatians 2:20). And at the end of that life of faith, he declared, “I have fought the good fight, I have finished the race, I have kept the faith” (2 Timothy 4:7). That can be your experience as well, as you use the shield of faith to turn aside everything Satan hurls at you. The helmet protects the head—perhaps the most vital part of the body since it is the seat of thought and the mind. When we have a sure knowledge of our salvation, we will not be moved by Satan’s deceptions. When we are certain that we are in Christ with our sins forgiven, we will have a peace that nothing can disturb. Can we be certain of our salvation? Can we be sure? Yes. “If we confess our sins, He [Jesus] is faithful and just to forgive us our sins and to cleanse us from all unrighteousness” (1 John 1:9). “God has given us eternal life, and this life is in His Son. He who has the Son has life” (1 John 5:11, 12). The sword of the spirit is the only weapon of offense listed in the armor of God. All the other parts are defensive in nature. God’s Word—the Bible—is described as “living and powerful, and sharper than any two-edged sword” (Hebrews 4:12). Jesus used this weapon when Satan tempted Him in the wilderness. To each of Satan’s efforts to lead Him into sin, Jesus replied, “it is written. . . “ and proceeded to quote Scripture to destroy Satan’s temptations. God’s Word is truth (John 17:17). That is why it is so powerful. That is why it is so important that we study the Bible and become familiar with its truths and its power. David wrote, “Your word is a lamp to my feet and a light to my path” (Psalm 119:105). 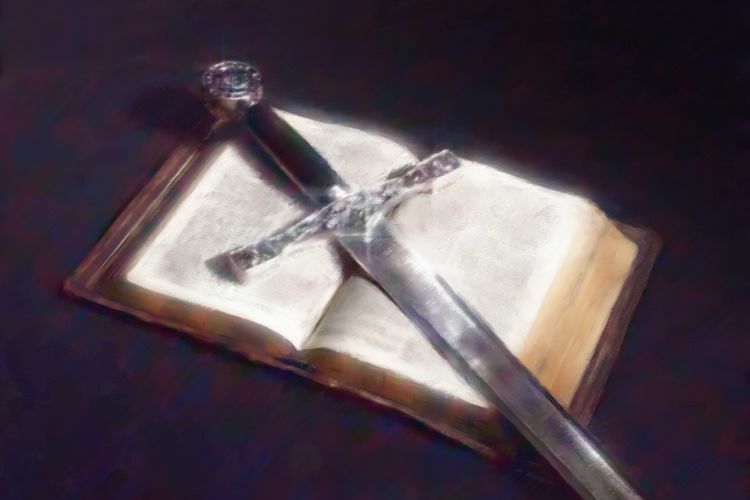 The sword of God’s Word both protects us and destroys our enemy—the devil and his temptations. Although prayer is not one of the pieces of the whole armor of God, yet Paul closes his list by saying, “Praying always with all prayer and supplication in the Spirit” (Ephesians 6:18). Even when you are clothed with the armor of God, you need to bathe it all in prayer. Prayer brings you into communion and fellowship with God so that His armor can protect you. 8. 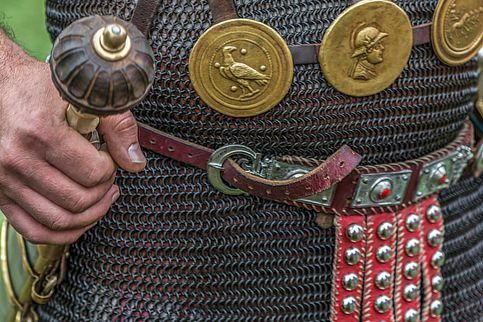 How do you put on the whole armor of God? It isn’t as difficult as you might think. All the pieces of the armor are found in a relationship with Jesus. Paul said it like this: “Put on the Lord Jesus Christ” (Romans 13:14). When you give yourself to Jesus and “put on” His righteousness, you are clothed in the whole armor of God. Do you sometimes feel weak? Do you find yourself giving in to temptation when you really want to overcome? Are you ever discouraged? We all face these moments. But clothed in the whole armor God, the weakest of His children is more than a match for Satan. In Jesus, clothed in God’s invincible armor, you will “be strong in the Lord and in the power of His might.” You will “be able to stand against the wiles of the devil” (Ephesians 6:10, 11).